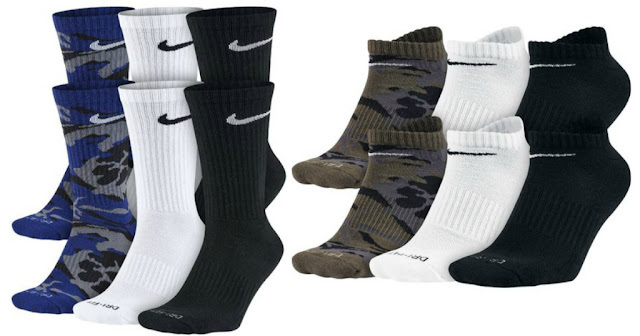 Head over to Academy.com where they are offering Nike Men’s Dri-Fit Socks 6 Packs in both Cushion Crew and No-Show for just $9.99 (Retail $20.99). That’s just $1.67 per pair! These comfy socks are great for the summer heat with their moisture-wicking Dri-FIT fabric technology that helps keep your feet dry.